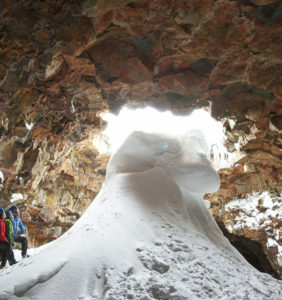 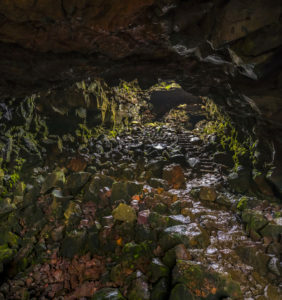 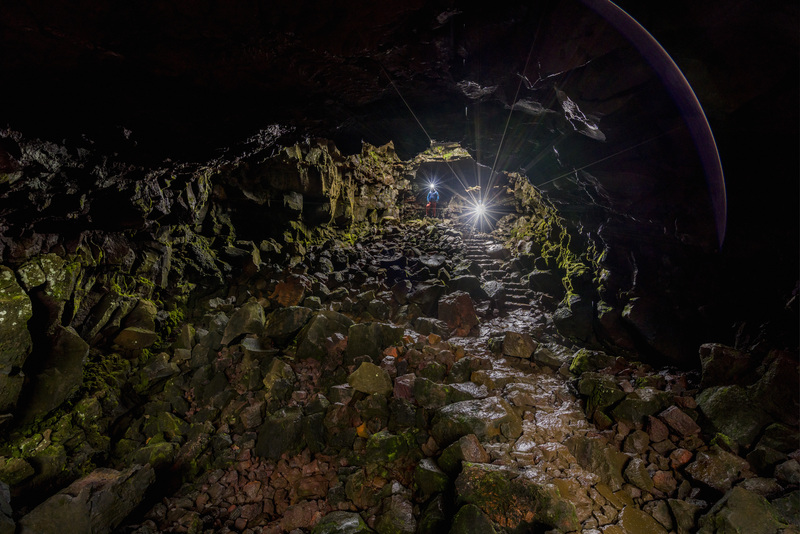 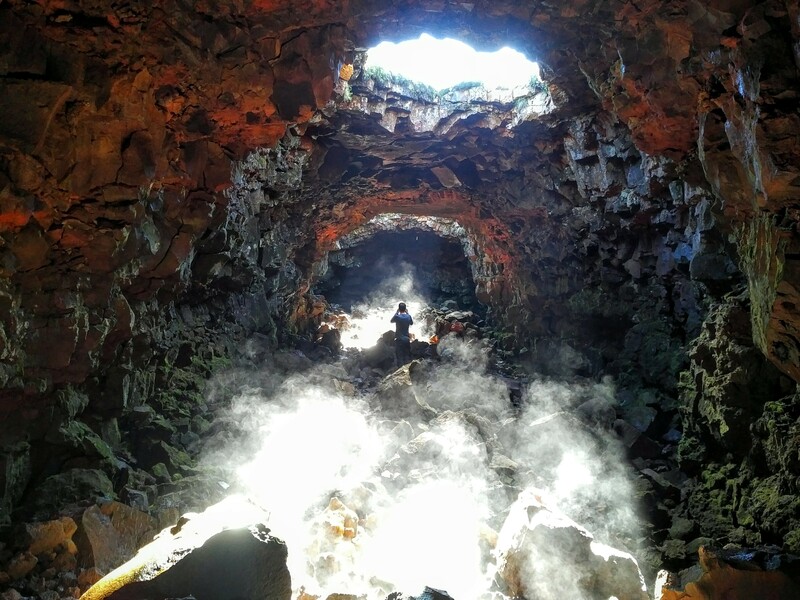 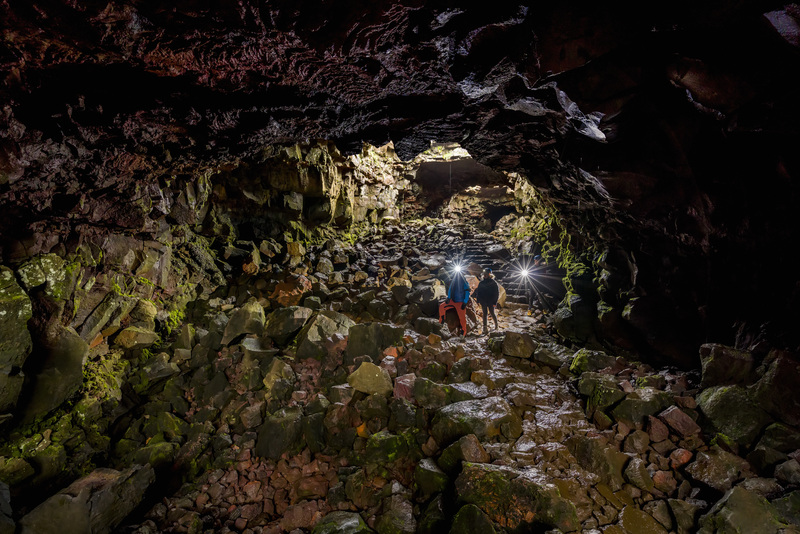 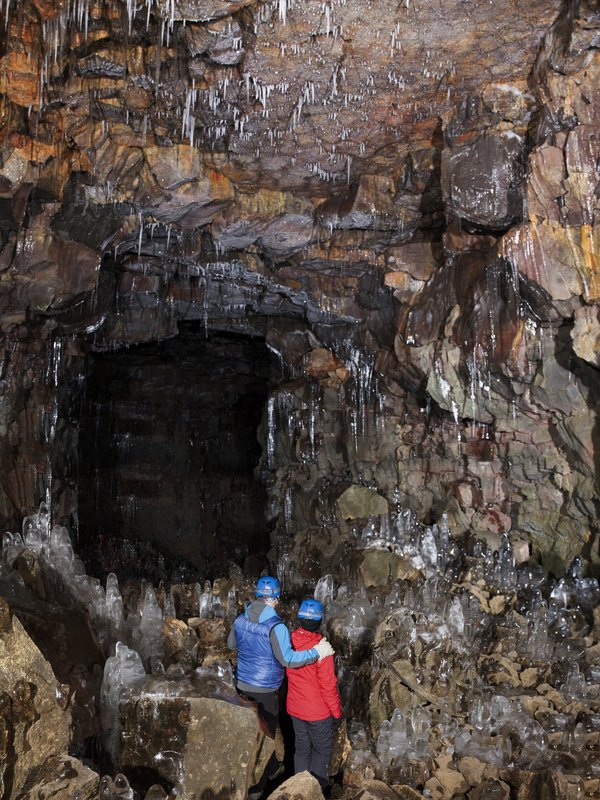 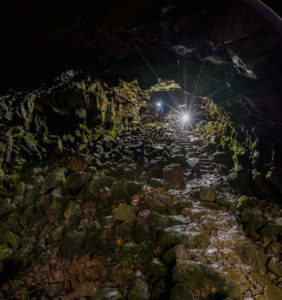 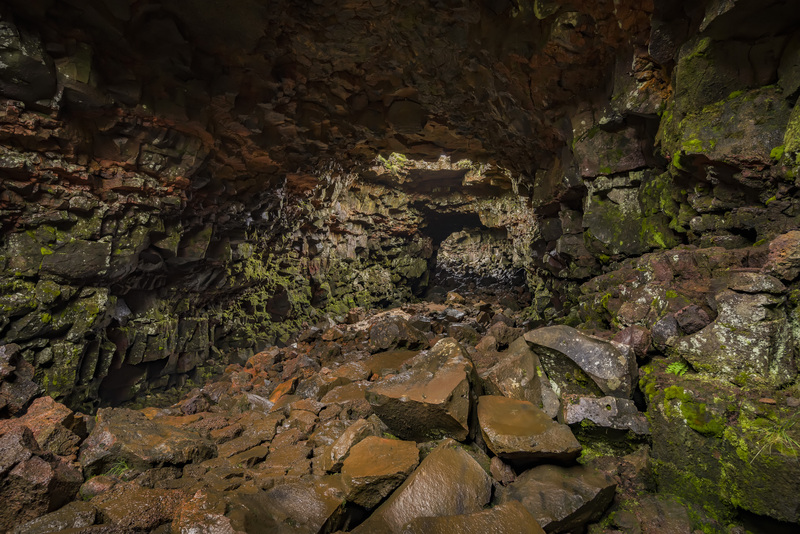 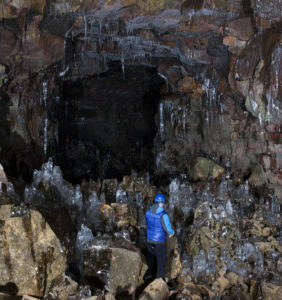 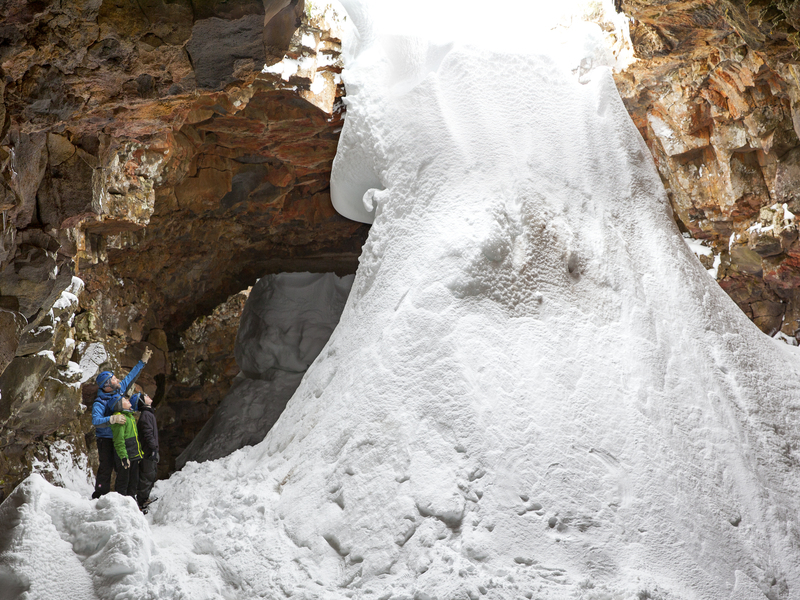 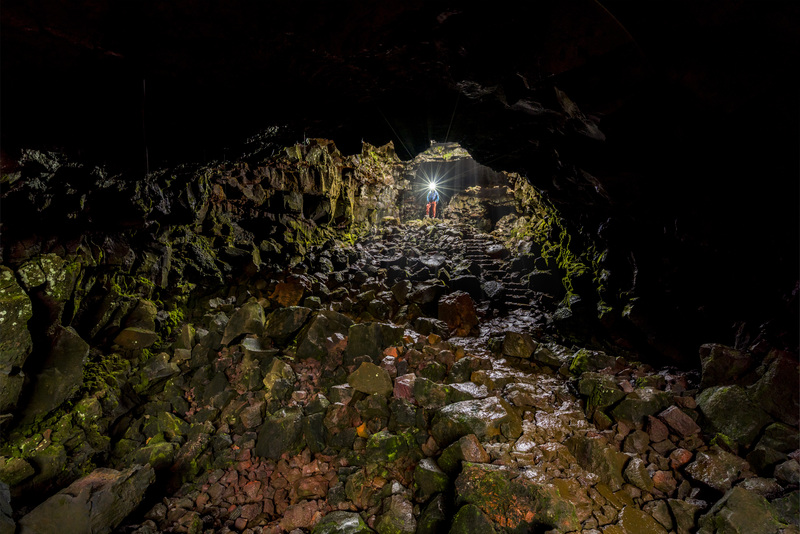 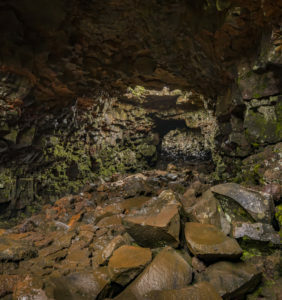 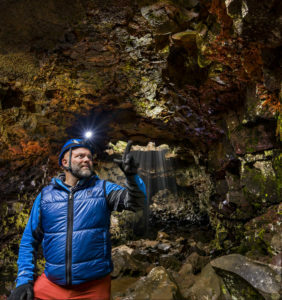 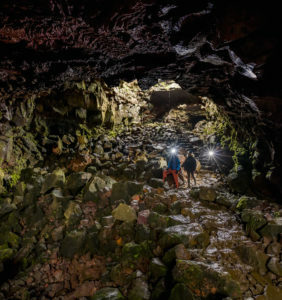 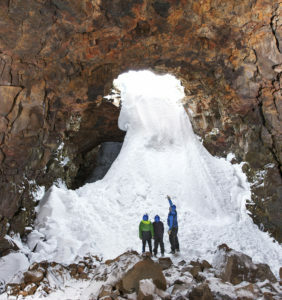 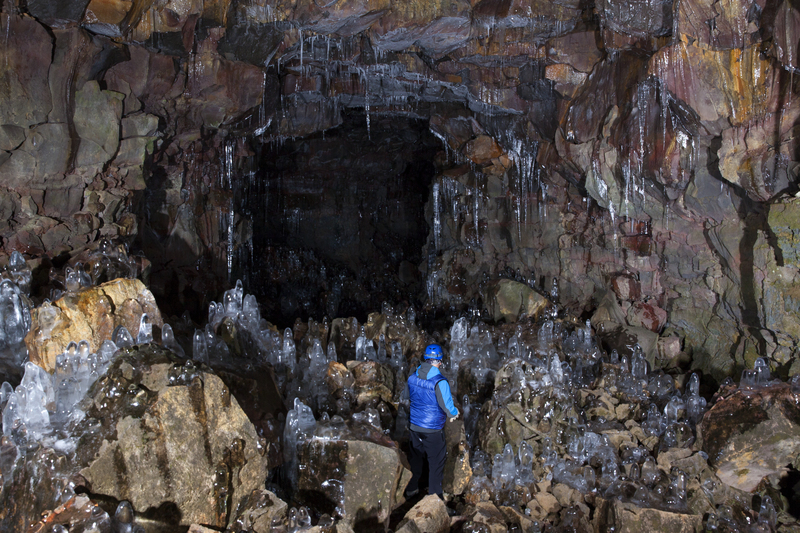 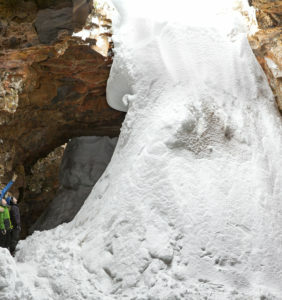 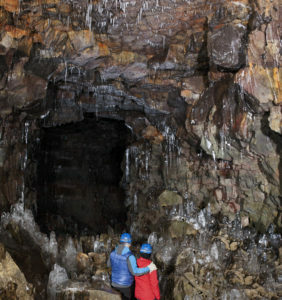 Explore the magnificent lava tunnel Raufar­hóls­hellir, one of the longest and best-known lava tubes in Iceland. 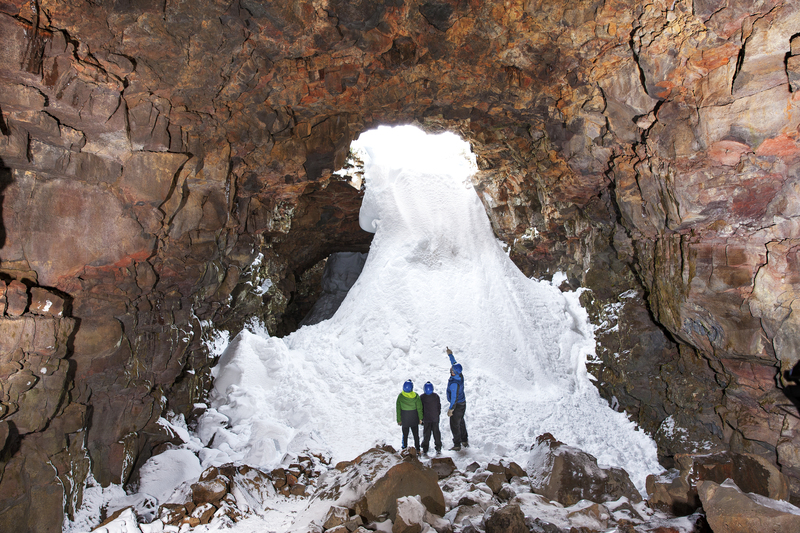 It is located just 30 minutes from Reykjavík and is easily accessible year round. 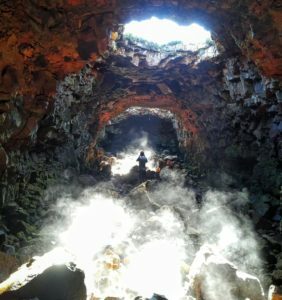 A journey into Raufarhólshellir is a unique experience and a great opportunity to witness the inner workings of a volcanic eruption as one walks in the path of lava that flowed during the Leitahraun eruption, which occurred east of the Bláfjöll Mountains about 5.200 years ago. 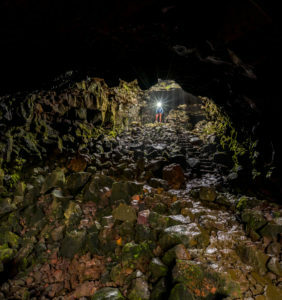 In the forefront of the cave, three skylights give the cave a unique surrounding as columns of daylights find its way into the lava tunnel. 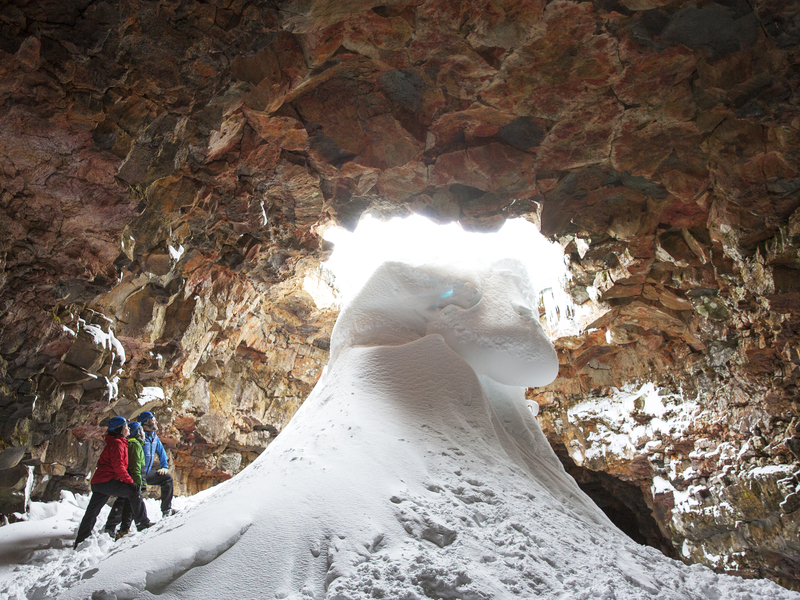 Every winter spectacular ice sculptures are formed inside the entrance of the cave making the experience of visiting the lava tunnel even more breath-taking. 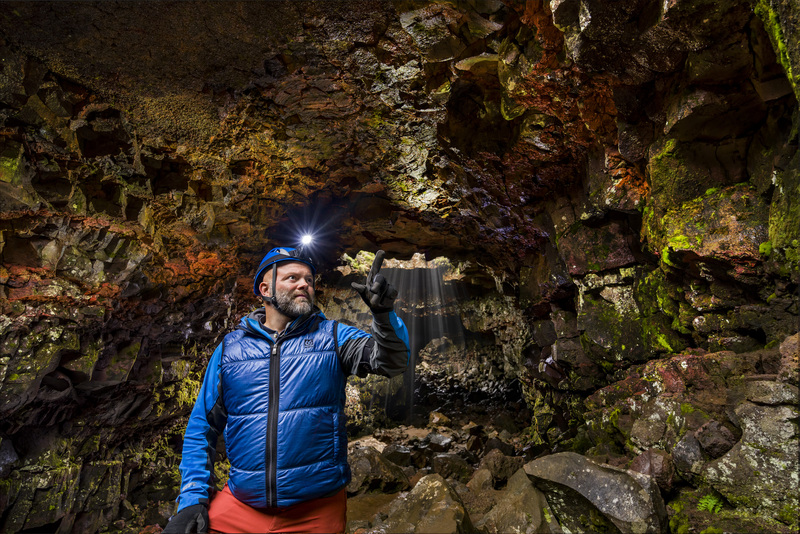 Tours are available as of June 2017. 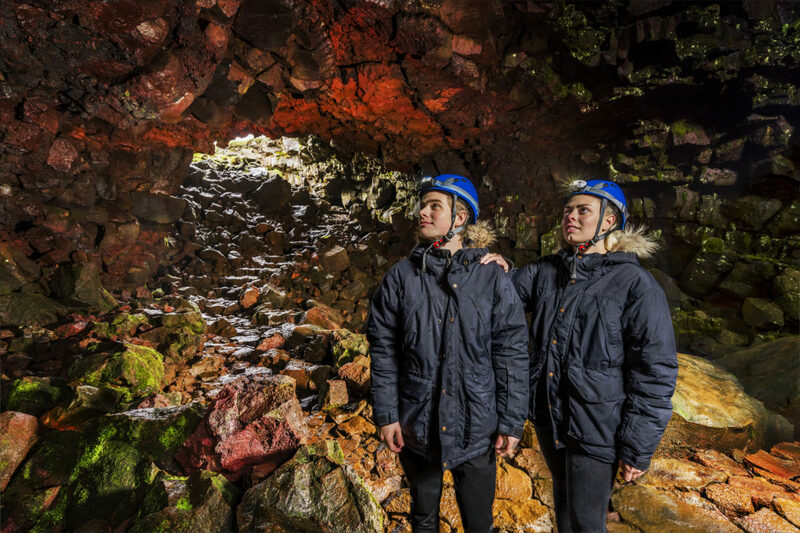 Adults 6.400 ISK, teenagers (12-15) half price and free for children under 12. 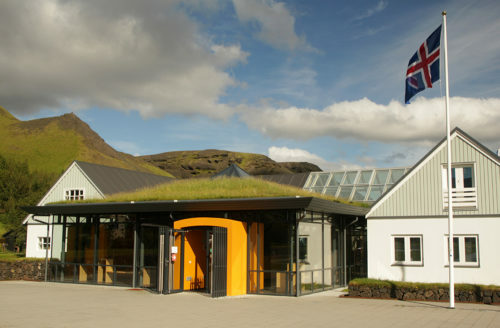 Extreme tour with a pickup and drop off in Reykjavik 19,900 ISK. 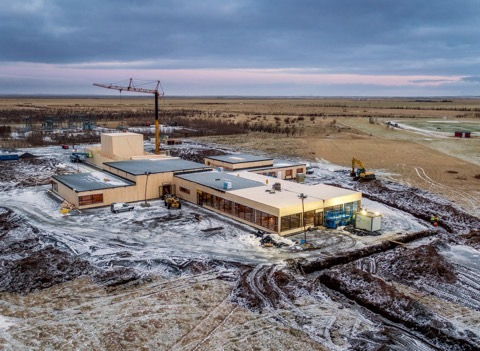 Grand opening price for summer 2017: 4,900 ISK.